Tooth loss is caused by a variety of conditions: gingivitis, excessive tobacco use, periodontal diseases, tooth decay or dental injury. Dental implants are a major advancement in contemporary dentistry, and are a safe, smart and cost-effective solution for Canadians suffering from severe and extensive tooth loss. Ideal candidates for dental implants are patients who still have sufficient amount of intact bone beneath gums that are free of periodontal disease. 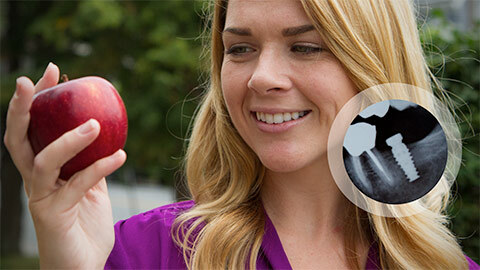 The dental implant application procedure involves as few as two or three visits to the dentist’s office. Prior to receiving the dental implant, each patient is carefully examined and evaluated in order for the dentist to provide the most optimal implant solution. Tiny posts are then carefully installed into the bone socket left behind by a missing tooth. The healing process that occurs after will take several weeks, during which the implant will successfully bond into the jawbone. During the healing period, your dentist will fashion artificial teeth using impressions taken of your gums and bite. This is done to create replacement teeth that will fit comfortably with the rest of your natural teeth. After they are secured over the implant, you will be free to continue your daily life, enjoy your favorite foods again, and smile and speak with confidence. 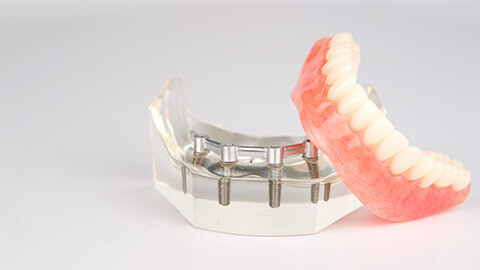 Dental implants are an optimum solution for missing teeth, because they are versatile and cost-effective. Unlike dental bridges and dentures, dental implants are made of durable titanium alloys and thus require less follow-up visits to the dentist. They effectively support artificial teeth, allowing them to function just like the rest of your healthy, natural teeth. 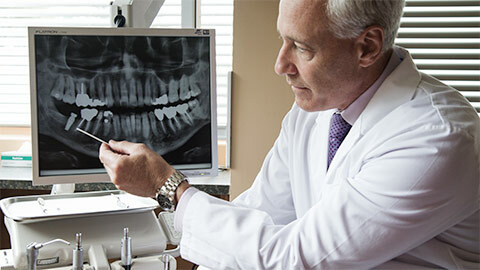 If you need more information about Dental Implants in Etobicoke, contact us today.